Being comfortable at work is essential. If you spend your day out of sync, it's nearly impossible to be productive. Luckily, with all the modern products available for today's office you'll be a not shortage of ways to improve your efficiency. Enjoy this article highlighting the 3 most simple ways to get comfortable at work. If you spend your week buried in cluttered office, it's easy to assume you're not that comfortable. A messy workspace is the perfect recipe for a disastrous business life. The good news is, getting organized really isn't that hard. It involves a little time, possibly a few not habits, and some cutting edge products to help you get the job done right. The first step to getting an organized office involves removing the clutter from your space. Purge your lateral file cabinets of old and unused documents. This should clear up some valuable space to say the least! In most cases, you'll find yourself removing old receipts and coupons you thought you could never life without. This process can actually be rather comical! Next, set your aim towards your worksurface. The rule is, if it's not used at least twice a week there's a better spot for it. A well organized desk surface will provide you ample room to work. Get in the habit of clearing off the clutter everyday and you'll be much more comfortable throughout the week. Lastly, explore ways to maximize your office square footage. While most feel confined in their office cubicles, there are ways to make your space feel much bigger. Try mounting overhead storage cabinets on your panel or office walls opposed to vertical file cabinets that take up floor space. If you have a window, use it! Natural light always makes a setting more comfortable. Remove those old post it notes and thumbtacks from your work space. Those things start to build up and make you feel like your sitting inside a Rolodex. In the long run, organizing your space is a must if you're looking to work at the highest levels of productivity. Take the few minutes per day to form some good habits and reap the rewards! 2013 has brought with it some of the best ergonomic office accessories to use while working. While not every new product on the market is essential, there are 3 key items any office looking to maximize comfort must have. If you're still operating with your keyboard tray sitting on your desk surface, you're truly missing out. Articulating and adjustable keyboard trays are available that retract underneath your desk surface to save you valuable space. In addition, trays are incredibly affordable and will improve the rate at which you type while taking pressure of your wrists while helping prevent carpel tunnel syndrome. 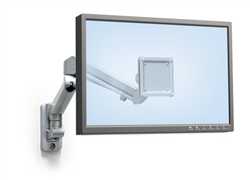 One of the hottest ergo trends is the use of dual screen monitor mounts in the workplace. The two monitor setup is proven to improve efficiency and the rate at which you work. No more flipping from tab to tab all day long! Simply click on a screen and drag it to the open monitor. This is a great feature for writers and anyone who spends ample time online. Looking to take it a step further? No problem! Units that mount up to 8 screens are available and provide a high tech feel for those that have the space. An often overlooked accessory that can really improve your office comfort is the CPU holder. The top ergonomic CPU holders for sale from brands like ESI ergonomic solutions provide a wide range of adjustment capabilities as well as a locking feature for added office security. A quality CPU holder will also retract and mount directly under your desk which provides increased leg space and reduces the risk of water damage. Perhaps the most understated benefit is the prevention of those pesky trips under the desk to plug things in! Simply rotate your computers power source and enjoy easy access that doesn't involve burrowing through old candy wrappers and bumping your head on the way out! One of the most simple ways to get comfortable at work is to adjust your chair. While the best ergonomic chairs for sale on the market today often adjust automatically to accommodate your back and body type, the average computer chairs you're probably using still offer valuable adjustment capabilities that will surely improve your day. Common professional office chairs adjust in a variety of ways. Typically, chair features such as pneumatic height adjustment cylinder are standard on all office task chairs around $99 or more. This helpful tool will allow you to improve your posture in seconds while improving blood flow. 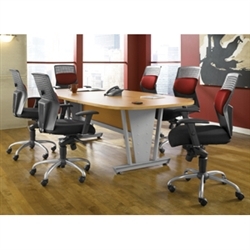 Other common features include tilting adjustments which reduce back pain and prevent slouching along with adjustable chair arms to meet your preferred working style. The all too sad part about those who purchase luxury office chairs for their space, is that they never fully take the time to learn how to properly utilize the chair. Meeting with an ergo expert or office products specialist in person or online will provide valuable insight as to how to get the most out of your office chair. If you've spend over $1000 on a chair, you should definitely know how to maximize it's potential to gain the biggest reward on your investment! Shopping for new office furniture can be tough. Luckily, the industries top brands are now widely available online. That being said, one essential office area that's been incredibly popular to makeover in 2013 has been the reception space. Today's piece highlights and showcases the absolute best modern reception desks you'll find online from webs most respected dealers. Enjoy! When it comes to modern reception furniture, OFM has taken the prize in 2013. This leading office furniture provider offers a wide range of contemporary reception chairs and stations sure to leave a lasting first impression on your guests. The Marque reception station series has taken the office world by storm this year and for good reason. It rocks! This line of curved reception desks for sale from OFM is available in 3 cool laminate finishes that combine with the metal frame for a totally unique look. The Marque collection is also easy to install. In fact, this series requires no tools for assembly. Now that's a time saver! Looking to add some wow factor to your office reception furniture configuration? No problem! The Mayline Napoli Series is just the line for you. This line of popular office desks, tables, and modern reception desks combines metal, glass, and wood accents for a luxurious look that's sure to impress. 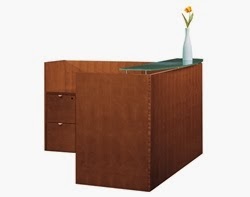 The NRSBF Napoli Reception Station includes a box box file and file file pedestal for office storage and is available in beautiful wood veneer finishes. The high end appeal is complimented by the modest price tag of $2357.99. When compared to models at this same price point, Napoli stands supreme. The in stock status is also a great feature for those in need of new guest waiting area furniture in a hurry! 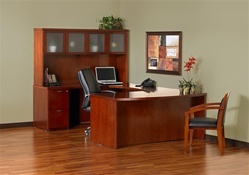 The Cherryman Industries Furniture brand offers 5 of the best office furniture collections available online. While this reputable brand is well known for their traditional wood collections, the Cherryman Verde Series has taken the honor as their top selling line of 2013. 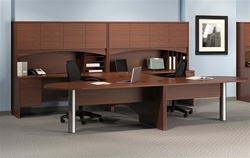 This line of modern office desks, tables, and reception area solutions is available in 2 stocked finishes to meet your individual needs and workplace decor. The Verde Reception Desk is available in both rectangular and L shaped variations that work well in both small and large office spaces. The modern design is highlighted by simple metal accents and a white glass transaction counted for added flair. Priced at only $1509.99, you'll be hard pressed to find a better line of small reception desks for sale at even twice the price! Cherryman's offering of desks for reception area use was just too good to only highlight one model! The popular line known as the Cherryman Jade Series also has an awesome piece to offer that you'll be sure to come across online when shopping. The JA-123N Jade Reception Station features an L shaped design and stunning glass transaction counter. 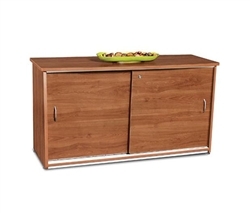 Both cherry and mahogany finishes are available in stock for immediate shipment. 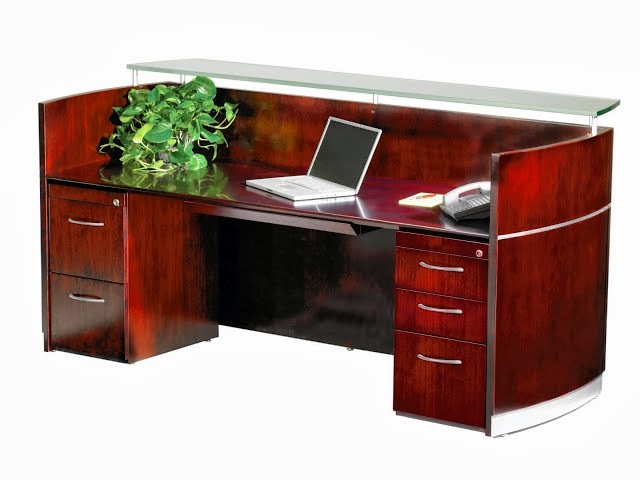 This collection also boasts a wide variety of executive office desks and conference tables for sale that will allow you to utilize 1 cohesive furniture line throughout your business areas. Last but certainly not least, no article on reception desks for sale online would be complete without highlighting the affordable models from Offices To Go. This industry leading provider of discount office chairs for sale is often overlooked for their incredible furniture solutions. The OTG Reception Desk collection is one of the most budget friendly and high quality lines you'll find available when shopping. Consumers and designers alike with enjoy the 3 in stock finishes and wide variety of matching office storage products available to outfit your space while keeping you professionally organized. For anyone who has sat in an office or studio environment for any length of time, back pain is the absolute worst! Not only is it incredibly painful, especially while you're working, but it can become the cause of detrimental health concerns. According to WebMD, different types of back pain can lead to sciatica, arthritis, muscle and nerve problems, and even degenerative disc disease in the spine. Don't let this happen to you! If you're convinced its your office chair that's causing you so much trouble, don't hesitate to kick it to the curb! 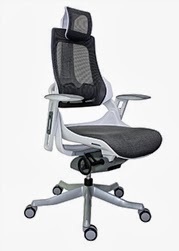 There are plenty of awesome office chairs out there that are specially designed to alleviate back pain and other back issues. Let them be your knights on shining wheel casters! 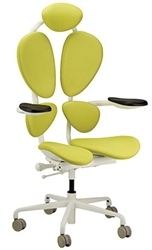 One of the greatest chair types to help defeat back pain is the ergonomic chair type. 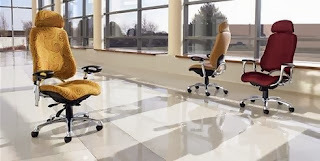 In the office furniture industry, the term "ergonomic" is used to describe any class of furniture that has been extensively tested and designed to alleviate discomfort and improve workplace efficiency. While the term may be applied to desks, office accessories, and multi-user workstations, when its applied to office chairs, it can be loosely translated to "kiss back pain goodbye"! With any set of comfortable ergonomic office chairs, "kills back pain" is likely the first box that gets checked at the manufacturer before the chairs are shipped out since back pain is such a widespread problem. In fact, one of the chairs heralded as the most comfortable chair of all time is the RFM Verte Ergonomic Chair, adjusting to any movement made by the back. The good news about office chairs for sale is that nowadays there is usually an "ergonomic" version of any chair type so you can have a comfortable chair for just about any situation. In fact, all the chairs listed below are from the ergonomic subsection of their listed chair type. 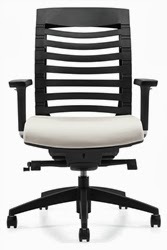 Executive chairs have long been identified as the creme de la creme of the office chair industry. Not only are they incredibly stylish, but they are always insanely comfortable. If back pain is an issue for you, just about any subset of stylish executive chairs is sure to do the job getting rid of it. However, there is an extra special category of ergonomic executive chairs that is already predesigned to send back pain packing! 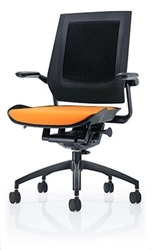 Some fabulous chairs for this category are the Eurotech Ergohuman High End Office Chair and the Verte Executive Chair by RFM Preferred Seating; sort of like the cousin to the RFM Verte Ergonomic chair listed under the above heading. Both chairs are incredibly comfortable and the perfect antidote to unhealthy seating. Just one sit in either of these beautiful chairs and you'll be hooked without a doubt. Let the back problems end and the relaxation begin! What could be worse than back pain? Well, anyone who's been stuck in an office environment where it always feels like the sun is hiding in one of the storage cabinets until everyone in the room melts knows what a pain a hot office can be. In the dog days of summer, AC bills can get pretty high, causing business owners everywhere to cut back on the cool air. Sweaty backs and back pain do not go together, no matter what the season. We believe you should never have to suffer through both, which is why we suggest breathable mesh back chairs to keep you cool! Mesh chairs are great for breathability, which is one of the reasons people sensitive to heat enjoy them so much. The holes in the fabric allow air to pass through more easily while the fabric's stretchy quality remains super supportive of the chair's occupant. A few examples of great ergonomic mesh chairs include the Concept 2.0 Modern Mesh Back Chair and the Wau High Back Mesh Office Chair by Eurotech for pleasant seating solutions. Big and tall chairs are some of the best chairs for back pain relief because of their amazing support. These chairs shape themselves very easily to the body so that their occupants feel as if they fit wonderfully in the chairs. Not only do they bear weight supremely, but big and tall chairs also look incredibly stylish and regal in much the same way as executive chairs do. Ergonomic big and tall chairs are some of the best ergonomic chairs on the market, both superb in reducing back pain and remarkably comfortable. 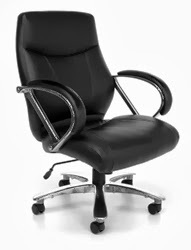 They are welcome in almost every business capacity, doubling easily as both conference chairs or even high quality computer chairs for employees or home business owners. If you are thinking about adding one of these eye-popping beauties to your office space, the Avenger Series Chair by OFM or the OFM ORO Big and Tall Conference Chair are great places to start! If working at a desk is the cause of your back pain, there is no better way to remedy it than by getting nice ergonomic desk chairs to reduce the pain! In office environments, affordable desk chairs are typically a common site, but just because a desk chair is ergonomic doesn't mean you have to break the bank to get one. Actually, out of all these chair types, ergonomic task chairs are probably the best deal, with simple, chic looks underlying an exquisite design. 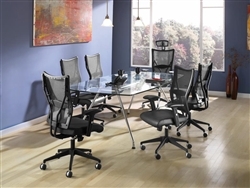 These highly adjustable chairs do wonders for the back, and there is even category filled with mesh desk chairs to provide additional breathability should you require it! Both the Global Arti High Back Ergonomic Office Chair and the OFM ORO Designer Multi Task Chair are excellent modern desk chairs to have! We all know that the office life can be a hard one. Sitting behind a chair all day can easily take a toll on your health, even if you love your job. Some health issues commonly associated with the office life can include back problems, depression, eye problems, and more, but you don't have to fall prey to these terrible conditions anymore. Just follow these simple office-health tricks and you'll find yourself feeling healthier in a snap! Making sure to eat a healthy lunch is one of the best known ways to keep yourself healthy at work, but it can be hard to choose the right thing when you're staring at a vending machine loaded with goodies or a menu full of yummy carbs. Here's the trick though: Don't give yourself the option! Brown-bagging a lunch from home is a wonderful way to keep yourself in much healthier shape if you toss in the right foods. Try to pack after you've already eaten in the morning and before you head to work. 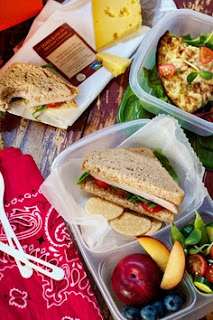 Packing a lunch when you're not hungry will help you make healthier choices so that by the time the lunch hour rolls around, you won't have the option of munching on chips or cookies because they're not in your lunchbox. Instead of chips, opt for foods like seeds and nuts, which are rich in Vitamin E. For a drink, say yes to water and tea rather than soda. Veggies with dip are awesome options too for most Americans, since we don't typically get enough of them in our diet. For sandwiches and hearty salads, turkey is a great lean meat that will keep you full and even helps to prevent cancer! Yogurts, fruits, and dark chocolate are healthier ways to satisfy your sweet tooth. Remember to eat small snacks throughout the day (about every 2-3 hours) to keep your metabolism running. Just make sure you don't eat at your desk! Getting the office blues are almost as bad as getting a cold, but did you know that the blues may not have anything at all to do with your job or even yourself? That's right! Its incredibly easy to get a small case of depression even if you fully enjoy being around your co-workers and doing your job, especially if your workplace has poor office lighting or no windows. Believe it or not, having a view of the outside world with natural lighting does wonders for work ethic and self esteem. If you find yourself feeling down or sleepy at your office and you don't know why, its probably due to the fact that the place has no windows. The best way to remedy this is to make your own! Dress up the cubicles with pictures of nature, your kids, your pets, or whatever else boosts your morale. Take walks outside during your break (maybe while you munch on some healthy work snacks)! Adding some plants to the corners of your desk is a great way to bring the outdoors inside so things feel a little livelier. Succulents, bonsais, and cacti are great, easy to care for plants that would do beautifully in an office environment. One relatively new trend is the keeping of small fish at office desks. Betta, or Siamese Fighting Fish, are extremely low-maintenance bowl fish that are fairly cheap and available at most pet stores. Why not see if your workplace will let you keep one and hit the pet stores to start finding yourself a Nemo? 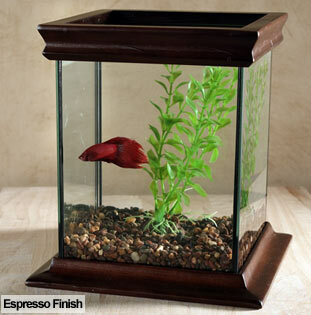 Desk-ercizing is a trend that is sweeping the nation even faster than desk-fishies. We all know how hard it is to exercise while at work (unless you're a physical trainer), but there are plenty of ways to keep that workout going long after you leave the gym. First things first, make sure to watch your posture to keep yourself healthy as bad posture is the leading cause of back pain. Doing a few 20 to 30 second leg lifts next to the CPU holders under your desk are amazing ways to keep your legs in shape at the while on the job. Stashing a few dumbbells or stretch-bands in your office storage cabinets are great ways to keep arm those muscles from tensing up between the long hours of typing. Don't forget to throw a few squats or push ups in there too to round out your mini-workout. All the extra exercise is not only wonderful for your health, but it also helps keep you focused and uplifts your mood! 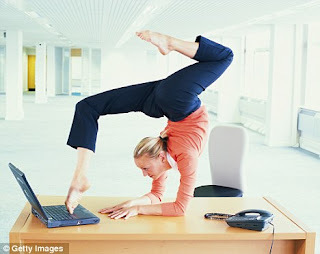 Here's a list of body-toning exercises you can do while on the job: 33 Ways to Exercize at Work! Yeah, its a thing. But don't knock it just yet! Actually, office chair yoga is a fabulous way to stay healthy at work, so why not do it? Making use of those comfortable office chairs to get your work done is what's expected, but that doesn't mean you can't use them to do something new and incredibly healthy. If your office already has affordable ergonomic office chairs in stock, then you're already on the fast track to a toned figure and spiritual enlightenment! In fact, there is already an ergonomic office chair out there practically designed to help keep its occupants in perpetual zen mode! The Chakra Chair by Eurotech Seating makes the best yoga mat for the office, designed to support the chakra points of the body and leave all other areas free of tension. Its lightweight, comfortable structure makes it the king of all desk chairs if you're looking for the best way to stay healthy at work. If you want to stay in perfect zen, just try a few of these cool yoga chair moves to find your inner peace while at work: 8 Seated Yoga Poses You Can Do From A Chair! Creating a modular office is the perfect way to to improve your workplace versatility. A modular interior allows your business to grow while simultaneously creating multi purpose work areas that can be designated to a variety of purposes. This article showcases 5 super stylish modular office interiors you'll surely love while leaving you inspired for your business makeover! Global Total Office is a leading provider of modular office tables for the conference and training room. One of their most popular collections, the Bungee table series has been selling like hotcakes in 2013. 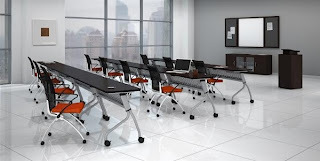 Businesses are enjoying the ability to easily connect their training room tables with fold down tops via the simple to use bungee connectors this series gets its name from. In addition to the Bungee Table Set highlighted in this space, you'll notice a super cool modular presentation board and matching lectern on wheels from Global. These two awesome products are sure to improve your meeting quality along with the ergonomic office chairs in this modular space. Once key part of any modular office is the use of space saving products geared towards meeting the needs of large and small work areas. The Mayline training tables for sale from the popular Sync collection provide just that and more! These training tables on wheels feature a flip top design that allows them to nest easily along walls when not in use. Simply drop the top and move the tables in to a position that works best for your space. Then, put them away when not in use. In addition to the Sync training table models highlighted in this space you'll notice the nesting training room chairs from the top selling Valore chair collection. These simple to operate seating solutions can be easily stacked, nested, and folded to provide even more space saving features your business will surely enjoy. The Mayline Brighton Series is yet another top selling line of modular office furniture for sale that allows businesses to combine multiple stations as an alternative to the office cubicles that once dominated spaces throughout the country. Brighton units like the one pictured in this modern space can be easily separated and used as individual executive office desks and combined when your personnel needs increase. Perhaps the best part of this configuration is the $2261.99 price tag. What a value! One essential office area where space is always at a premium is the boardroom. Using modular conference room furniture is a great way to maximize your square footage and meeting potential. If it's modern style you're in search of, OFM furniture is a great way to fill the modular decor needs of your boardroom area. Products like the 55118 conference table are priced quite fair by industry standards and actually require no tools for assembly. As the needs of your business increase, addition sections can be added to accommodate more personnel or valued clientele. These modular conference tables are commonly accented with the OFM AirFlo chair in your choice of 4 cool colors. The Cherryman Verde Series is the perfect way to create a modular executive space designed for high levels of productivity. Configurations like the Verde VL-707N desk set combine metal, laminate, and white glass accents for a totally unique look that's sure to earn you a host of positive compliments. This particular suite includes the one of a kind Verde swivel table that definitely provides some wow factor! The mobile pedestal and office storage products in this space will keep you organized and saving space in your managerial work area. Whether your home is big, small, tall, or purple with pink polka dots, you should never have to settle for less with your home office! If you are thinking about adding one or updating your current home office with the latest in home furniture, don't let the fear of price tags keep your from giving yourself the best for all your hard work. There are plenty of affordable home office furniture items that no one should be without, and if you're confused about what to get, never fear! This article will tell you everything you need to know! The first thing all home offices need to function properly are good office desks, but there's a lot of different kinds out there. Before you decide what to get, take some measurements of the space you plan to use so that you have an idea about how big or small your desk needs to be. From there, you can search until you find the perfect thing, although it probably won't take very long. The great thing about shopping for home office desks is that home office furniture manufacturers have made sure to include a lot of variety their selections. 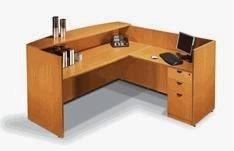 Be sure to search either affordable home computer desks and home executive desks for sale depending on the size of the office space you plan to work in. The names are usually a good indicator of desk size, with executive desks being larger and computer desks tending to be smaller. If you've already got a decor in mind, the finishes on stylish wood executive desks can go with just about anything. If you want a sleeker look to your space, the chrome accents cool modern office desks and the clean look of glass office desks are bound to catch a few eyes! No one wants to sit all day slouched over in a shabby old chair. Since you're already giving yourself an upgrade or a new home office, why not just go straight for the new, right? Don't worry, the price tag won't bite on this one. Just shop around a bit and you're bound to find great deals on leather, modern, vinyl, memory foam, massaging, and every chair in between! If you want the ultimate in comfort without having to pay the ultimate price, ergonomic office chairs are an amazing choice that no one ever regrets. These highly adjustable, comfortable office chairs were crafted after years of study on efficiency in the workplace, so they are perfectly suited to solve all your office chair needs, including the ones that prevent back pain. But ergonomic chairs aren't the only comfortable options out there. For a chair with built in temperature control, versatile mesh back chairs have great breathability, and for plush comfort, luxury executive chairs are tough to beat. All in all, whether you want the ritzy or the simple, desk chairs for the home office will always get the job done without breaking your bank. Now, if you're gonna go through the process of adding a home office to your house, you're also going to need a place to store all your home office stuff. Things like pens, papers, magazines, files, folders, and three-hole punches can clutter up a space pretty quick if you can't find a space to put all of them. As moms everywhere know, the best way to deal with a mess is to prevent it, and the best way to prevent that home office tornado-look is to go ahead and get some home office storage products to clean up a room in advance! The best way to shop office storage configurations is to reconsider the size of your space. If you've got a small room, the smartest way to store things is by building up rather than out. Adding some sturdy office shelving or a few vertical file cabinets are great ways to accomplish this. If you've got a large room on the other hand, you'll probably want to choose a storage configuration that will take up some floor space, filling up the room and freeing up your walls for some artwork! If this is the case, toss in some bookcases or a few spacious storage cabinets to dress up the boring spots! Just like any good outfit, no space should be without a few accessories. In home offices, this is especially important because accessories can often make the difference between a highly efficient office and an unproductive one. The amazing thing about office accessories is that they usually cost very, very little in comparison to other office furniture products, yet there are times when they can seem to do the most. Anyone whose ever spilled a cup of coffee near their computer or hard drive can tell you about the dreadful feeling that rises when it happens, but with CPU holders, you won't have to worry about a splash-crash ever again. These amazing accessories hold computer hard drives up off the ground by mounting to the underside of desks, freeing up leg room and preventing accidents before they even occur. If you find yourself leaning over the desk to type, you could be putting yourself at risk for major health problems that could be solved by simply adding sliding keyboard trays under your desk. These little beauties slide out to meet you in your chair rather than forcing you to hunch over, saving both your desk's surface space and your spine! 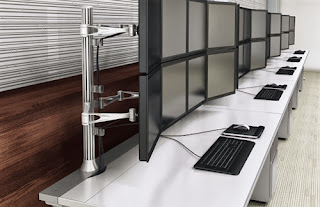 If you're straining to see a computer screen, popular monitor arms mounted to walls or desks extend the length a computer screen can stretch to reach you while simultaneously freeing up desk space. Additionally, if you've got a lot of other accessories and no place to put them, office utility carts are the perfect thing. 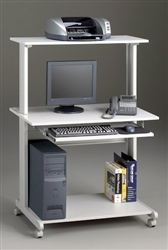 Able to act as file trucks, supply tables, and even printer stands, mobile office carts can be wheeled around and easily stowed away as needed! With all the homework kids get nowadays, its no wonder manufacturers are turning out school desks at lightning speed. For kids headed back to grade school, one of the best things a parent can provide them with is a place to work on their studies in peace while they're at home, but you don't have to spend a bundle either. There are tons of small computer desks for kids out there that fit easily into bedroom corners, and they look pretty stylin' too. The best part is that they won't cost a ton of money. Some are even collapsable, and can be stowed away under beds or behind dressers to save space when not in use. These same desks are particularly great for college students stuck in small dorm rooms. Additionally, simple desk chairs make wonderful student seating for your kid's mini home office. Not only do they look cool, but they're usually mobile, and some come complete with "nesting" features so they can fold up as needed too! Keeping an office orderly and free of clutter can be a big enough task even when a room is spacious, but when you're caught in close quarters, it can be an enormous problem. Because so many businesses require the keeping of important hard-copy records, often for long periods of time, things like files, books, directories, and papers can build up fast with no place to go. Fortunately, office furniture manufacturers have seen this, and have worked their magic to bring you some great space saving storage devices that will clear up your office in a flash! The tough part about having an office (and trying to keep things clean) is that, a lot of times, we have to keep things around even if we may not exactly use them all the time. Things like three-hole punches, computer software, directories, books, binders, and old hard-copy files you deleted from your computer but still have to hold on to are probably not used too much, but without a place to go, they can stack up to make some tall pillars in a workplace. Sound familiar? Don't worry. If it does, there's a great solution. Adding one or two stylish storage cabinets can usually solve all these problems just by giving a place to things without a place and the best part is that they come in all sorts of shapes and sizes to meet your needs. Whether you need something small and square like the OFM Executive Wall Cabinet Credenza, or something tall and thin like the Mayline Brighton Glass Display Cabinet, adding one or two of these beautiful cabinets can always clear up the clutter with style! In offices where square footage can be measured more accurately in inches than feet, people usually figure out really quick that building up is the most efficient way to get the most out of the lack of space. Unfortunately, its easy to find oneself building the columns of the Parthenon out of purchase orders and old company records that can't be tossed out. Few realize that there is an even better way to give yourself a little more leg room without sacrificing the important stuff; this secret way is called "shelving". Adding office shelving above your office desks is a spectacular storage alternative for places that may not have the floor space for wall cabinets and credenzas because it doesn't take up any room. By keeping things on the walls, the floor is freed up for the people and cool office chairs that have to use it, not the stuff that can't. And if you'd rather not alter the walls, assembling a shelving configuration to fit inside a small adds a lot more surface areas for things to rest should you need it. Got a lot of books lying around? You're not the only one. All over the world there are tons of writers and readers that are probably wondering if they should turn their ergonomic workstations into libraries instead, and with all the books they've got, they probably could. Books are extremely useful to many businesses, but whether you keep them around for advice when a computer's on the fritz or just to chill out and enjoy a good story while you eat lunch, books can make for some clunky clutter. If you've got more books than you know what to do with, shelving may not always be the best option. While it does save you on square footage, sometimes setting up good bookcases can save you a lot more space (not to mention walls). 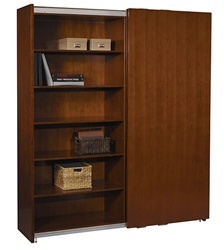 Bookcases come in all sorts of shapes and sizes, so there is bound to be one that will fit every office. If you're looking for something for a sleek stylish office, metal bookcases have got the look for you, and if your office is an active one, modern bookcases usually have wheels so they can be rolled into closets while corner bookcases sit out of the way. Whatever you choose, a good bookcase is sure to save you room and gloom when you need a good book to liven up the lunch hour! Perhaps one of the most overlooked ways to keep things out of the way in an office is through the use of mobile carts. 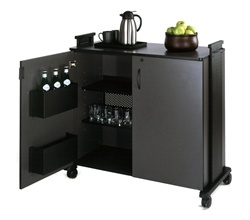 Adding office carts to your workplace may be one of the best business decisions you ever make for a bunch of reasons. Not only do these babies clear up space, but they can hold just about anything, from files, to food, to printers, papers, and much more, and they can go just about anywhere. These versatile office carts are fantastic storage options that hold a ton with out taking up a ton of room. Wonderful in offices and schools alike, they make amazing printer stands as well as sturdy file trucks with locking capabilities, utility carts for things like staplers and tape dispensers, and even AV and TV carts for meetings and presentations. Many businesses that require the keeping of old papers and files as part of hard copy records can get into a big mess if they don't have quality office storage products to keep them in check. Fortunately, file cabinets have been around for quite a while now, but how do you know which ones to get. For offices, believe it or not, both lateral file cabinets and vertical file cabinets can come in all shapes and sizes, so its important to know what you want out of one and where you'd like it to go in your office before you get one. But file cabinets aren't just great for offices. If you're an artist or architect, you don't have to throw out your old work because its in the way of your new stuff. Just adding a few flat file cabinets to your studio or next to your professional drafting tables can allow you to keep your work neat and out of the way. Creating a cutting edge meeting environment for your business will improve your productivity and overall efficiency. That being said, the top conference tables of 2013 offer innovative features and benefits sure to get your new space started off on the right foot. This article highlights cutting edge conference tables you'll surely love! First up, the GT3977 glass conference table by OFM. Talk about cool! This unique product features an industrial style that's been super popular in 2013. The sharp design, thick top, and stainless steel base make this product a real winner. Two sizes are available from this collection starting at only $1025.99. Accent this table with cohesive OFM office chairs and you'll be on your way to improved meetings and workplace decor in no time at all. These OFM tables are definitely some of the hottest sellers on the market this year and for good reason. They rock! Finding conference tables with metal legs used to be a real chore. Luckily, brands like Global Total Office has provided several cutting edge collections to fill this huge void in the market place. The Alba Conference Table collection includes over 7 shapes and 15 sizes. Now that's versatility! Available in 10 made to order laminate options with a choice of 2 base metal colors, Alba meeting table and boardroom products can even be equipped with power options for multi media applications. Businesses limited on square footage will love the small conference tables for sale from the Cherryman Industries Verde series in 2013. This top selling line includes round conference tables in 2 sizes and finishes to meet the needs of any work environment. You'll see these cool products used to accent larger executive furniture configurations to provide an added element of intrigue for office higher ups. Priced starting at $533.99, the VL-869 verde table features brushed silver legs that boast commercial appeal and luxury that's sure to earn your space a host of positive compliments. Third on the list of cutting edge conference tables for sale in 2013 is the new Mystic meeting table from Lesro. A top seller since it's inception, the Mystic table line is power ready and incredibly modern. 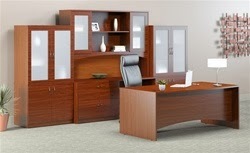 Available in 6 finishes with a choice of metal leg color, these products can be easily matched to any boardroom decor. There's no doubt the top seller is the S1896K4 Elliptical Conference Table from the Mystic series. Priced at $769.99, your next corporate meeting or training session will be far from boring! Last but certainly not least, no article on this cool topic would be complete without highlighting at least one of the Mayline Conference Tables for Sale from any of their 10 best selling office furniture collections. The revolutionary Transaction Conference Table line is definitely the industries biggest winner this year. A metal base and innovative boat shaped surface highlight the design. Both small and large conference tables are available from this series that work incredibly well in high tech, multi media meeting environments. With several customizable power options available, you'll definitely want to meet with an industry professional to discuss your individual needs and space requirements to take advantage of all the benefits these Mayline Conference Tables have to offer!